Marketers who are using measurement concerns to avoid allocating budget to mobile marketing are failing to help their organisations embrace one of the biggest changes ever to occur to consumer engagement. 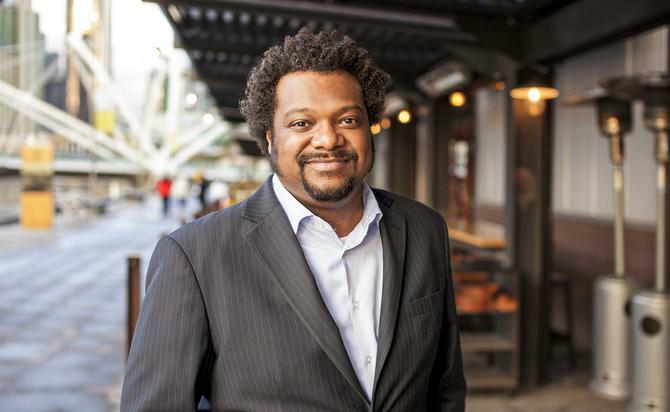 That’s the opinion of Mondelez International vide-president of media and consumer engagement, Bonin Bough, who caught up with CMO Australia recently to discuss the launch of the snacking food giant’s Mobile Futures program in Australia. The program sees five leading Mondelez brands, including Cadbury’s Daily Milk and Favourites, Philadelphia cream cheese and belVita breakfast biscuits, partnering with local mobile startups to create new mobile marketing opportunities. Mobile Futures was first established in the US and Brazil before coming to Australia, and is also expected to launch in two additional countries by the end of this year. According to Bough, 24 per cent of media consumption is happening on a mobile device globally, yet mobile is getting less than 1 per cent of investment. He saw mobile measurement as one of the keys reason for the lack of take-up, and admitted measuring mobile ROI was a difficult area for marketers to come to terms with because it challenged traditional thinking around digital and engagement metrics. However, those not willing to adopt new ways of working are simply being “lazy”, he claimed. “The reason why it’s hard is because we’ve been able to do the same thing for many years,” Bough said. “My thesis in fact is that banner ads actually destroyed the Internet. What we basically did was take a print ad and put it into an engagement medium, where we gave it some standardisation, and hoped for the best. We did that because that approach was simple. We didn’t take want to take the time to think about other ways of doing it. Bough pointed out a similar investment situation occurred in the early years of television, where consumer consumption eclipsed investment until three bold brands – Unilever, P&G and Kraft – jumped in. Not only did they get great pricing, they also helped build capabilities that propelled them into becoming the marketers who knew the new media driving that next generation of consumers, he said. As a result, they were also able to help transform their businesses for the future. Having spent years in digital marketing and now as Mondelez’s media and engagement chief globally, Bough agreed the focus on measurement was critical. Yet he labelled the measures used by the industry for traditional media as “blunt instruments”. What Mondelez has done is adopt an attribution model that judges how different social and mobile activities impact the broader marketing and media ecosystem. The company calls its approach ‘connection planning’ and visualises connections in terms of a web or media matrix. With its Mobile Futures program, Mondelez is aiming to identify technologies it can run new types of marketing with, transform how consumers engage with its brands, and drive much-needed mobile skillsets and marketing investments in the organisation. One US program example is the work done between Mondelez’s Sour Patch brand and mobile app startup, Keep, around rewarding people for accomplishment. “Whether it is running the mile you promised yourself and you punched that into you running app, or if you played a video game and reached the next stage of engagement, Keep is about rewarding people for those accomplishments. And usually there is a reward,” Bough said. “With our Sour Patch brand, the core message is sour then sweet. So instead of rewarding people for accomplishments, we looked to reward consumers for not achieving something. They had a sour moment, then got a sweet reward from us. We saw engagement rates shoot up. The other core component of the program is fostering an “intrepreneurial” culture within the organisation. Bough said a survey done across employees prior to the launch of Mobile Futures in the US showed the majority didn’t believe the company should operate like a startup. “The harder thing inside big organisations is the perception of what an organisation can do,”he commented. “Cultures are made up of individuals and we had to break the perception of what people believed was the way the organisation wanted them to operate. We had to give them a roadmap, and encourage and incentivise them for the type of behaviour we wanted. “Now when we ask in surveys about our start-up ability, people say yes. The impact of those 18 US staff and 10 Brazilian staff who have worked with startups on our organisation is palpable. Everybody is in the same place and realises that innovation, change and disruption is what will help us drive our business. We are seeing the results, and circulating those results around the organisation continues to free up what might be potential roadblocks. “We’re taking the best marketers in the world, sitting them with the best thinkers in mobility in the world, and getting them to help us understand the capabilities necessary for us to build as an organisation and chart the future,” he added.